With so many conflicting opinions floating around, it can be hard to decide whether your business really needs a new hire with MBA credentials. Some experts say that today’s MBA programs are out of touch with the realities of the modern business world, but others seem to think the opposite. Not to mention, a new hire with an MBA can bring a fresh and vital perspective you won’t get elsewhere. What’s a hiring manager to do? 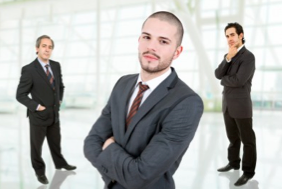 If you’re hiring an MBA, make sure the candidate is up to the tasks you’ll ask of him. Don’t assume a candidate possesses a certain skill set because he has an MBA. Ask the right questions to ensure a candidate has the skills, drive and passion you’re looking for — whether you’re looking for a new, full-time employee or a freelance consultant. There’s a reason so many experts advise hiring candidates with MBAs, and that’s because of what they can offer. They’re well-versed in the fundamentals of business planning, marketing strategies and administration. They’ve even had some training in business law. But perhaps the most important contribution an MBA can bring to your business is the ability to solve problems. MBA students in today’s top schools are thrown into the trenches of the business world; some schools require students to start a business from scratch before earning their degrees. MBA students know what it takes to succeed in today’s marketplace. When you’re considering hiring an MBA, make sure the candidate has the skills and training such a degree would suggest. Of course, a brand-name MBA from a top school looks great on a resume, but you really don’t know what the person can do until you talk to them. Remember that a graduate of a less prestigious school may have the same skill set and accept a lower salary. Ask the MBA specific questions about their past experience and expect to hear about results. A good MBA will go into detail about their accomplishments, and will reveal that they’ve researched your company and your customers. They’ll talk about what they plan to accomplish in the position and what issues they hope to resolve on behalf of your business. Also, make sure the specific MBA your candidate has is relevant to what your business does. You don’t want to hire a health care management MBA to work in a tech startup — that wouldn’t be helpful. Ask what specific MBA your candidate has and how that degree translates into skills beneficial to your business. What if You Can’t Afford an MBA? MBAs come at a higher salary than non-MBA holders — that’s the whole reason they got their degrees, after all. If you’re a small-business owner or a startup, you probably can’t afford to hire an MBA holder as a full-time employee. Even larger companies are holding off on making new hires as a result of the ongoing global recession. If you’re a medium- to large-sized business, you can hire a consulting firm to meet all of your business-planning and problem-solving needs, without adding a new full-time employee to the payroll. But if you don’t have that kind of money to throw around and you can’t afford the salary of a full-time employee with an MBA, you probably think you’ll just have to do without a trained businessperson’s insight and advice. However, in a fragile economic climate where many new MBA graduates aren’t getting the job offers they’d hoped for and where smaller businesses are struggling to generate the revenue necessary to stay afloat, many MBAs are offering their services on a freelance basis. You can “rent” an MBA and pay by the hour. Fees range from $10 an hour to thousands, depending on whether or not the freelancer has finished their degree, how much work experience they have and where they studied. A new hire with an MBA can bring skills, perspective and training that will help your business grow. Choose a candidate who can prove that his degree is worth more than the paper it’s printed on. If you’re trying to keep costs down, hiring a freelance MBA can help you grow your business without breaking the bank. About the Author: Contributing blogger John Spencer holds an MBA and has more than 20 years of professional experience. If you’re thinking of pursuing an MBA yourself, he recommends you click here for online MBA degree information.